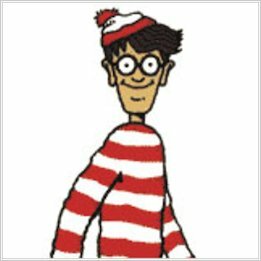 Martin’s Where’s Wally books have been immensely successful, selling more than 43 million copies worldwide in over 33 countries and 22 languages, including Egyptian, Korean and Hebrew. Crammed with amazingly detailed scenes and eye-popping puzzles, the Where’s Wally books will keep children fascinated for hours, and are a great alternative for reluctant readers too. Where’s Wally recently celebrated its 25th anniversary and is as popular as ever!